The Sophomore Entry Program provides an opportunity for University of Mississippi freshmen to earn guaranteed seats in the professional pharmacy program upon completion of three years of pre-pharmacy coursework, avoiding the competitive selection process for regular entry admission. All students who complete the three-year pre-pharmacy curriculum and first year of the professional curriculum will also receive a Bachelor of Science in Pharmaceutical Sciences. Upon earning the BSPS at the end of the first year of the professional program (senior year), students will complete three additional years of study in the professional program before earning a Doctor of Pharmacy (Pharm.D.) and sitting for the national licensure exam to practice pharmacy. University of Mississippi freshmen may apply for the Sophomore Entry Program status by May 1. Continuous University enrollment in a minimum of 14 hours per semester during the freshman year. Successful completion by end of July of freshman science courses defined in the curriculum for the BSPS degree. All core classes must be completed at the University of Mississippi with grades of C or higher. A GPA of 3.25 on required courses attempted the first year. For students also enrolled in the Honors College, grades received in Honors 101 and 102 will be treated as required courses in lieu of WRIT 101 and 102. Required courses designated as honors courses will provide five quality points for an A; four for a B; and so on. The UM plus/minus grading system will not be used in calculating the GPA requirements stated above. A preferred minimum composite ACT of 25. 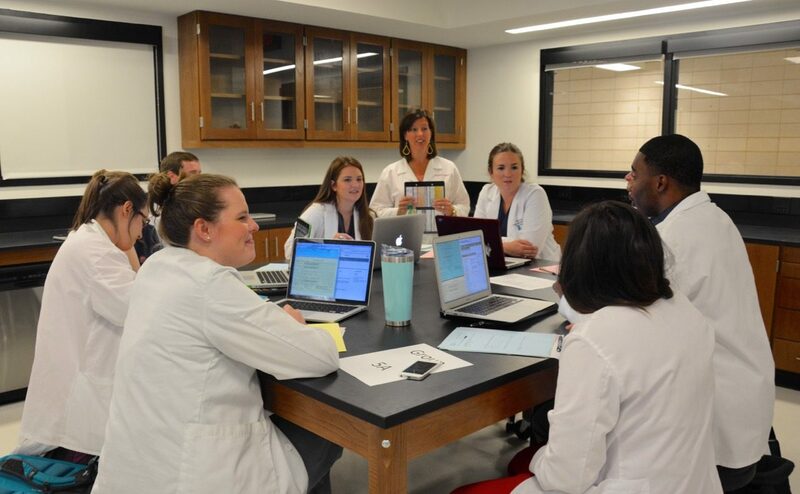 The University of Mississippi School of Pharmacy Admissions Sub-Committee, under the guidance of the Scholastic Standards Committee, will review application for admission and extend offers by August 1. Upon acceptance to the Sophomore Entry Program, students must declare the Bachelor of Science in Pharmaceutical Sciences degree for their sophomore and junior years. Applicants must earn a 3.25 cumulative GPA on all required courses attempted at the end of the second and third years, receive a minimum of 400 on the PCAT, and participate in the Early Decision phase of the PharmCAS application and interview processes. Those accepted will receive preferred admission to the professional program. Instructions Please fill out the form below to apply for the University of Mississippi School of Pharmacy's Sophomore Entry Program. Please list your community service activities, beginning with the most recent service activity. For these purposes, service is defined as any non-paid/volunteer activities for a group or organization. These service activities may or may not be affiliated with the University of Mississippi. Please include the name of the group or organization with which you were affiliated, the approximate number of days served (8 hours = 1 day), and the specific details about the service provided. Please list information on all leadership positions you've held, beginning with the most recent position. Please provide the name, approximate size, and location of the group/organization, your position title, your length of service, and your responsibilities to the group/organization. Please list information on all work experience you've had, beginning with the most recent position. Please provide the name of your employer, your position title, your length of employment, and your job responsibilities.